STOP taking on pounds. START living a healthier lifestyle. STOP is a weight management program for school-aged children and adolescents. By learning more about eating right, exercising, and choosing healthy lifestyles, children and adolescents can reach their weight management goals. STOP improves physical and emotional health for the whole family. 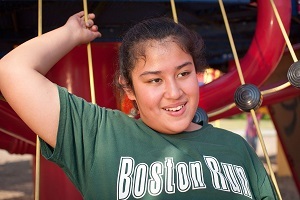 STOP is a program developed to guide and support children and their families as they cope with weight management issues. This includes being overweight, gaining more weight than your health professional recommends, choosing unhealthy foods for snacks and meals, and not exercising -all issues that can lead to long-term physical and emotional problems. This program helps change the future for your children. For 12 weeks, participants ages 7 to 17 attend weekly sessions with at least one parent. In an outpatient group setting, health professionals work with families to understand how to manage weight with nutrition, exercise, and behavior management. With the guidance of our health professionals and the support of a positive environment, your child can become physically and emotionally healthier. Nutrition – Eating Right, Reaching Goals. With the customized nutrition plan, families can reach their weight management goals while feeling healthier and more energized. Exercise – Increasing Fitness, Feeling Good. 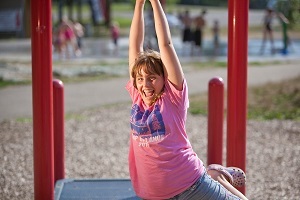 The program will also address the importance of exercise with your family and design a program that meets the unique needs of your child or adolescent. We’ll begin with a comprehensive exercise evaluation, and then prescribe a training program that adjusts as your child loses or maintains weight to increase their overall fitness. In addition to at-home exercises and activities, each session will engage participants in moderate-intensity exercise – all of which are fun activities and encourage free play. Behavior Management – Promoting Health in the Family. By promoting healthy lifestyles as a family, children can achieve their weight management goals while building self-esteem and improving their health. The program has an initial one-time assessment fee that will be billed to your insurance company or Medicaid. The cost of the program is underwritten by Reid Health Foundation. The STOP Program is a result of the efforts of the Whitewater Valley Childhood Obesity Task Force, a group that includes physicians, school nurses, dietitians, pediatric nurse practitioners, and wellness, fitness, and youth services professionals. For more information, to ask questions, or register for a class, please call our diabetes educators at (765) 983-3423.